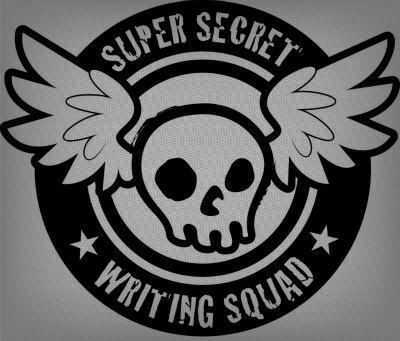 #SI have a Facebook page called the Super Secret Writing Squad and often post Missives and Missions there. This month I thought I'd gear that up again after reading BrainPickings great post full of Love, as well as another book I've been spending time with, Loveability by Robert Holden. The August #SSWS mission, should you choose to accept it, is to get the #SSWSLoveRevolution started! August 2018 Mission for Super Secret Writing Squad Members - Spread the Love! Guerilla Publishing challenge! Make a series of business cards, flyers, postcards, handwritten notes, etc. and tuck them into bus stops, leave them on trains and subways and busses, post them to coffee shop boards, etc. Pictures welcome! In his wonderful book, Holden says "The decision to be the presence of love is the most powerful influence you can have in any situation in your life and in this world." These days, with all of the craziness going on in the world, we sometimes forget the incredible influence we can have on other people, simply by being a presence of love in the world. In the film "Dead Man Walking," Susan Sarandon, playing Sister Helen Prejean, says "I'll be the face of love for you" as she agrees to bear witness to the death of Matthew Poncelet, a prisoner on Death Row in Louisiana. I was also inspired by 18 Year Old Paige Hunter who places inspirational messages at Wearmouth Bridge in England where a large number of people often take their own lives. Reminding people that they are loved is a powerful act of social justice, and a reminder to ourselves that we have more power to change the world than we know -- it must begin with us.